Can dangerous sea states be predicted? In the winter of 1978, the merchant ship MS München set out across the Atlantic Ocean to deliver cargo to the United States. With a length of 200 meters (656 feet), the ship was one of the biggest ever built at the time and was designed to withstand intense storms and hurricanes. But on December 12 at 3 a.m., the München tapped out an S.O.S. Though nearly a hundred ships and planes combed the Atlantic, the München was never found. It was concluded that an “unknown weather-related event” caused its disappearance. Whatever the event, it was extreme. Powerful weather systems like hurricanes generate ocean swell, which spawns waves that roll out over great distances. When rolling waves collide with surface waves, they create what scientists call very extreme sea states, the kind that scuttle ships and destroy derricks. Meteorologist Val Swail and his late colleague, meteorologist Vincent Cardone, wanted to predict these very extreme sea states. If they could identify where and when heavy weather caused high seas, they might be able to prevent catastrophes like the sinking of the München. After the München’s demise, many speculated that a rogue wave, a monstrous wave that appears out of nowhere, was to blame. Though somewhat controversial, scientists have recently defined a rogue wave as roughly twice as high as the surrounding waves. In a very extreme sea state, where waves reach at least 14 meters (46 feet), a rogue wave could crest at nearly 28 meters (92 feet). Yet because they are inherently difficult to measure, there are only a handful of measurements of such waves in high seas. “Rogue waves are the needle in the haystack,” Swail said. “You need to be either really unlucky to encounter one, or really lucky to measure one.” Instruments on the Draupner E oil platform in the North Sea captured a 25.6 meter (84.0 foot) wave in 1995. “But most rogue waves actually occur in quite low sea states where the average waves are two meters. So you get one that’s four meters,” Swail said. “For an oil platform that got 46 feet last week, who cares. 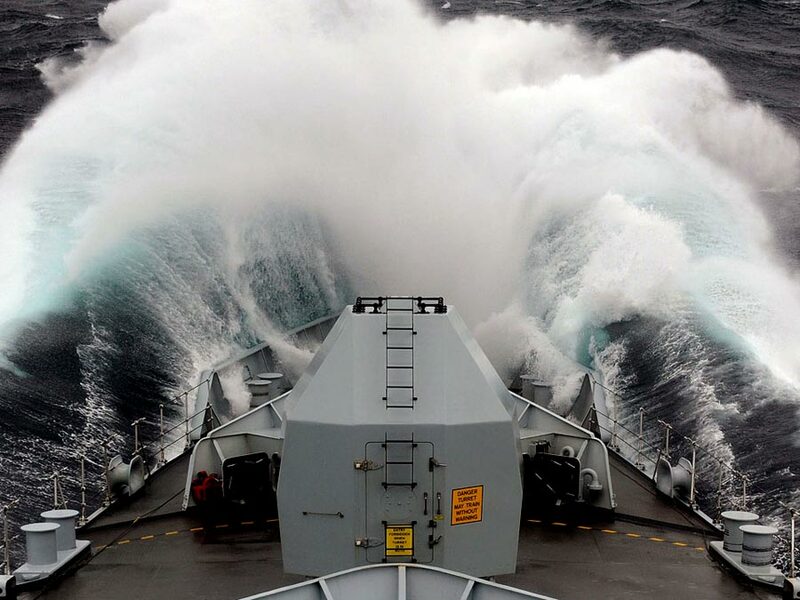 Yes it’s a rogue wave, but not an impactful one.” Researchers have found that very extreme sea states, not rogue waves, destroy most ships and structures at sea. As early as the 1960s, Cardone had been searching for new ways to measure extreme sea states. With a team at New York University, he developed the first spectral wave model, a mathematical model that attempted to predict how waves interact at different frequencies. The team created the model for the U.S. Navy using real-time wind and storm data from reconnaissance flights and other naval programs like the Joint Typhoon Warning Center (JTWC). For the first time, forecasting the sea state became possible. One thing they were missing was better wave data. 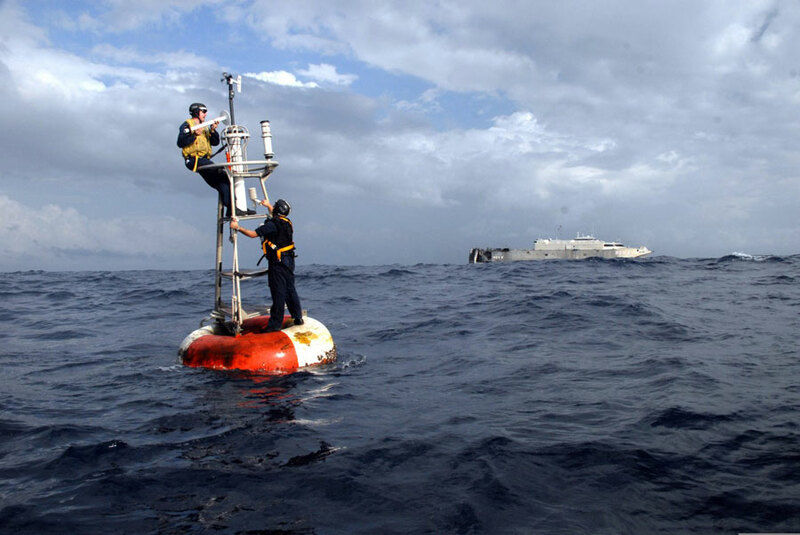 Measuring wave heights over the open ocean is challenging even today. Mariners have traditionally reported their observations of wave heights to the National Weather Service (NWS), but these are fairly subjective. 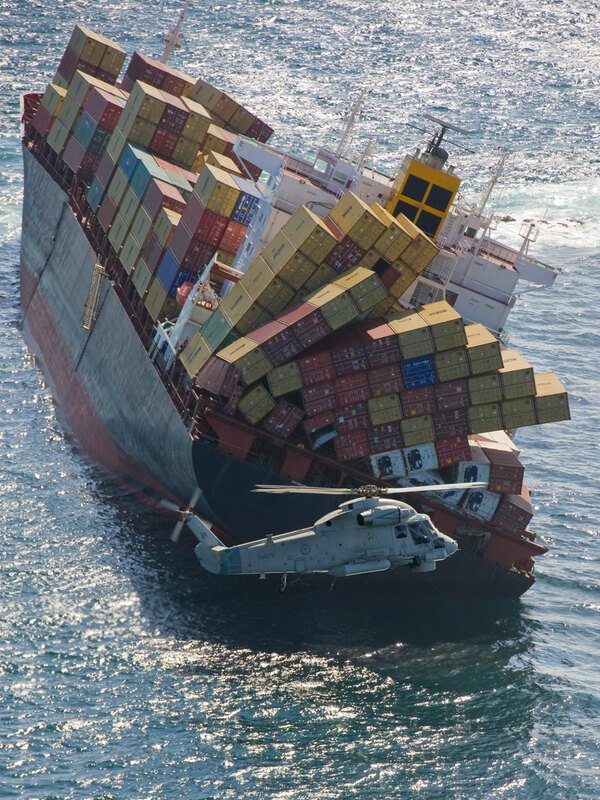 Wave recorders mounted on ships and buoys also have their limits. Cardone’s colleagues found that the recorders on ships are only reliable for waves up to 9 meters (30 feet), and buoys are moored along coasts, far from the open ocean. Satellites soon provided a better way to gather wave data, but there was one drawback: the many different algorithms used in processing made the data unwieldy. GlobWave, a database of altimeter data from seven satellites, solved this problem. It applied a single algorithm to the data from all satellites. Radar altimeter measurements from Poseidon/TOPEX and Jason-1, available at NASA's Physical Oceanography Distributed Active Archive Center (PO.DAAC), were used to build the database. They finally had a consistent record of extreme wave data, and it validated their models. When they combined that record with a global wave model from Oceanweather called GROW2012, the results confirmed their suspicions. The model spanned thirty-three years and included wind and wave data from many sources, such as satellites, visual observations, buoys, and wave recorders. “We saw things that surprised some people, but they weren’t that surprising to us,” Swail said. With GlobWave, they sorted through more than 5,000 instances of extreme sea conditions where waves were higher than 12 meters (39 feet). They found the highest average waves were more than 18 meters (59 feet) and occurred in the North Atlantic and North Pacific oceans, with more than twice the number occurring in the North Atlantic. Just three had a peak slightly higher than 20 meters (66 feet). In the Southern Ocean, where sailors have dubbed the latitudes from 40 to 70 degrees south the “Roaring Forties,” “Furious Fifties,” and “Shrieking Sixties” due to high winds and large waves, only three peaks were higher than 18 meters (59 feet). “We were able to verify that the average wave climate in the Southern Ocean is higher, but the extreme wave climate is not as severe as the North Pacific or even parts of the Pacific,” Swail said. They also verified something ship builders have long known. Swail said, “Because of the land masses to the west and the strong storm formation there, the North Atlantic is the most extreme wave climate in the world.” For more than a century, in fact, ship design classification societies have used visual observations from the North Atlantic as the basis for design. With TowSim, their research showed that the probability of sea states to cause catastrophic damage over thirty-three years is surprisingly small. On average, a ship could be exposed to extreme sea states for only about three hours on six of the nine routes and up to ten hours on two of the routes, they found. They also noted that the chances that seas would swell to make monster waves were highest in the North Atlantic and North Pacific during winter, especially December, putting the München in exactly the wrong place and time. The most treacherous routes were along the great circle between the midsection of U.S. East Coast and the entrance to English Channel, and from Yokohama to Seattle. Cardone, V. J., B. T. Callahan, H. Chen, A. T. Cox, M. A. Morrone, and V. R. Swail. 2015. Global distribution and risk to shipping of very extreme sea states (VESS). International Journal of Climatology 35(1): 69–84, doi:10.1002/joc.3963. JASON-1. 2008. Jason-1 Altimeter Geophysical Data Record (GDR) NetCDF. Ver. 1. PO.DAAC, CA, USA. NASA/JPL/PODAAC. 1998. TOPEX/POSEIDON Altimeter Merged Geophysical Data Record Generation B. Ver. B. PO.DAAC, CA, USA. doi:10.5067/TPMGD-BIN0B.